I was very a-moose-ed with this free knitting pattern from the Yarnspirations Canada 150 Lookbook, so I knit one up to celebrate the majestic moose in all of its Canadian glory! This 20" x 20" (58.8 cm x 58.8 cm) cushion uses Bernat Maker Home Dec Yarn which happens to be one of my faves. 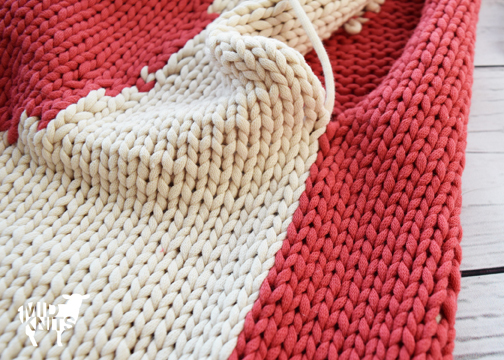 I love it because it creates amazingly smooth stitches with awesome definition and it is thick and durable, so it knits up quickly! Once I finished knitting both sides I buckled down for a good ole blocking. I know that not everyone does this, and I don't always do it for every project I work on, but I find when you are working with Intarsia knitting a good soak makes the stitches sit much more evenly. I even use a tapestry needle to grab each individual stitch and adjust the gauge until it looks exactly like I want it to. To seam the vertical sides of the cushion I used an invisible vertical seam. + Insert the needle under the horizontal bar between the first and second stitches. + Insert the needle under the corresponding horizontal bar between the first and second stitches on the other piece. + Continue in this manner, working from side to side, and pulling the yarn taught. + Check out your awesome invisible seam! To seam the horizontal sides of the cushion I used an invisible horizontal seam stitch. + Insert the needle up through the center of one stitch on the first piece. + Insert the needle under a full stitch on the second piece. + Insert the needle back through the center of the the same stitch on the first piece and up through the center of the next stitch. 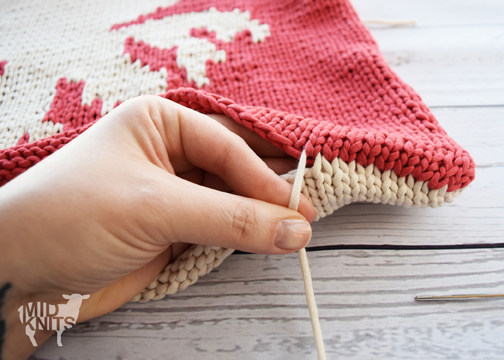 + Continue in this manner, working stitch by stitch, and adjusting to tension on your yarn to create a row of stitches that are the same gauge as the rest of your cushion. 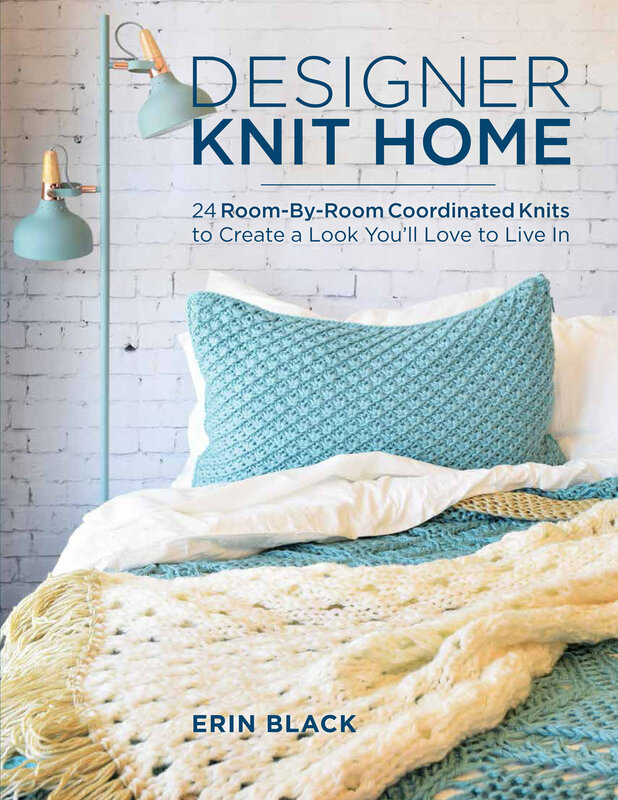 Get the free Very Amoosing Knit Pillow pattern from the Yarnspirations Canada 150 Lookbook!